Follow the complete 10 or 12 week course, or join us for a week in preparation for your exam. Our Cambridge examination courses offer intensive exam preparation and are designed to raise your language level in all areas: speaking, listening, reading, writing, grammar, vocabulary and pronunciation. 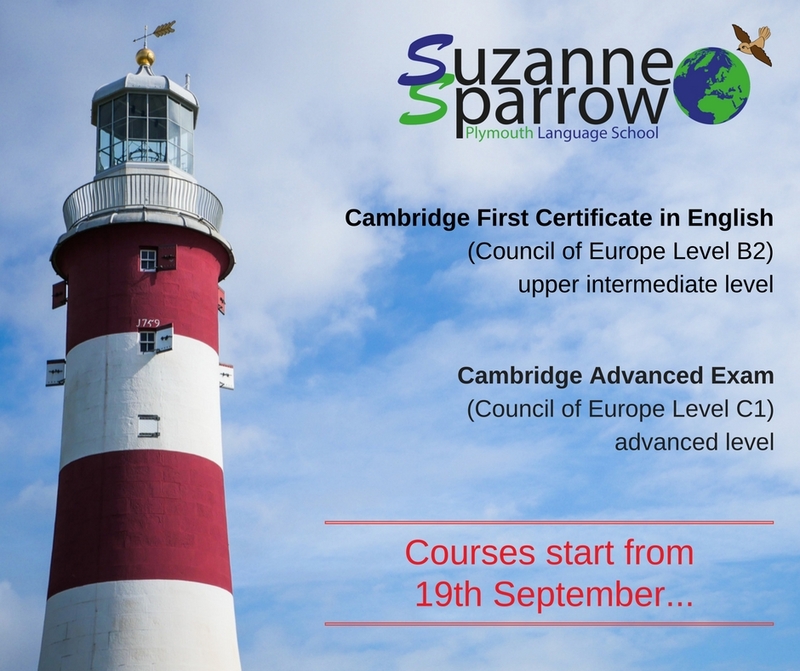 Cambridge First Certificate in English (Council of Europe Level B2) – upper intermediate level. Accepted by many employers worldwide as indicating proficiency in English to be able to be of use in many jobs. Cambridge Advanced Exam (Council of Europe Level C1) – advanced level. Accepted by most UK universities (including the University of Plymouth) and a growing number in the USA as proof of adequate level for courses taught and assessed in English.